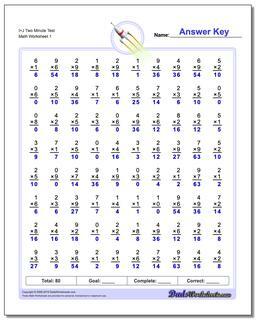 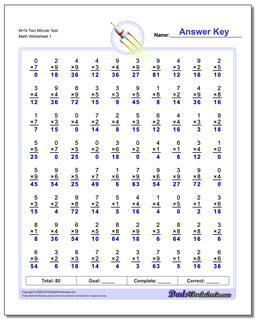 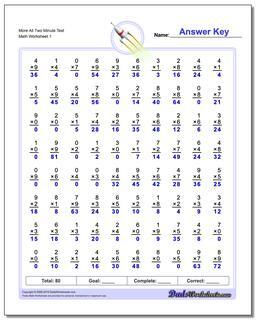 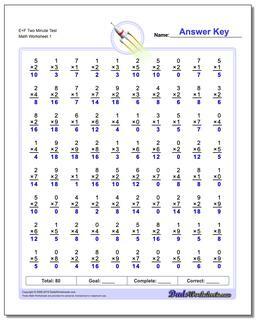 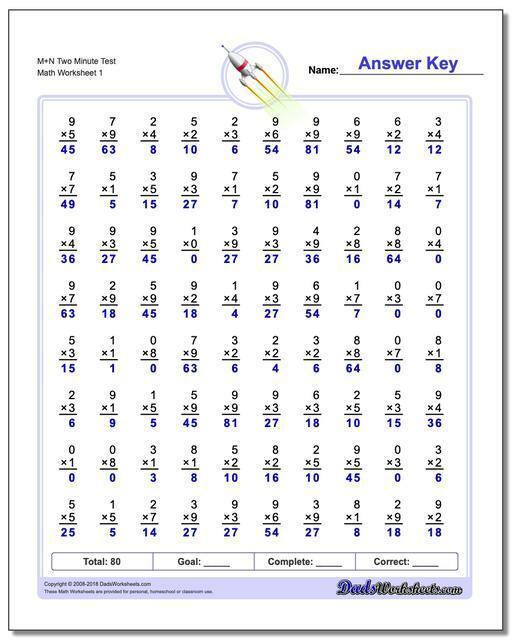 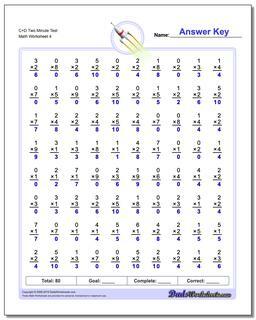 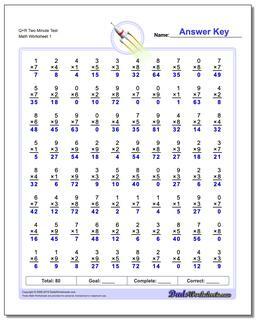 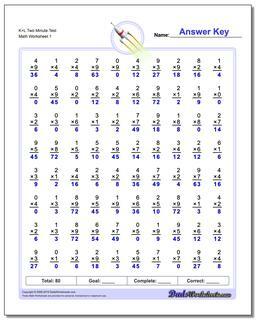 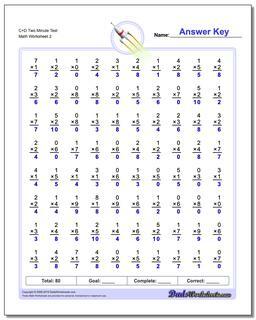 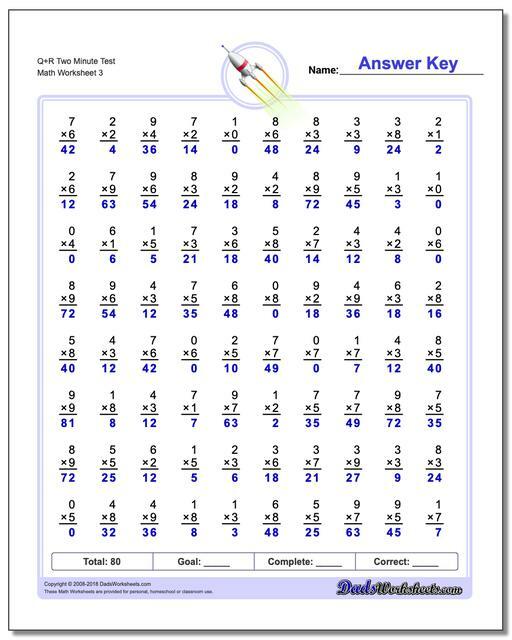 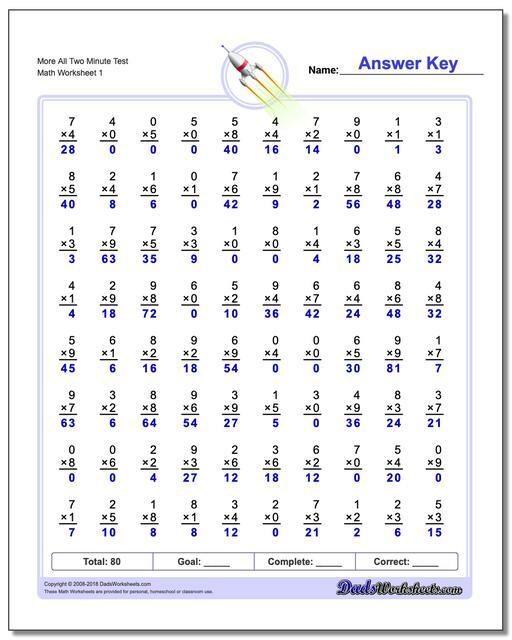 80 and 100 problem Spaceship Math/RocketMath/Mad Minute timed multiplication worksheets. 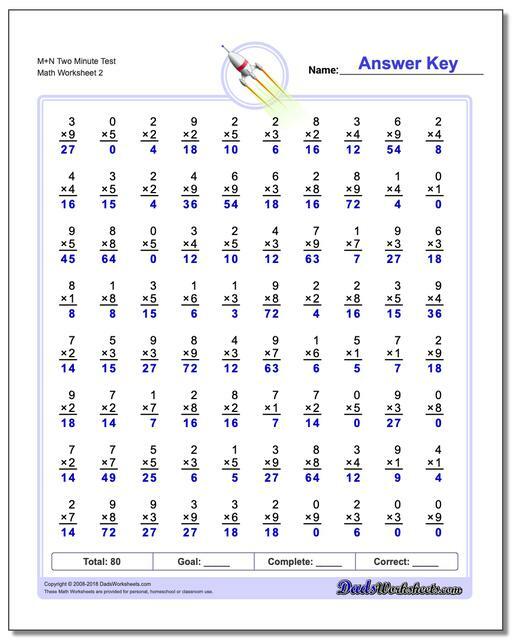 These are great for multiplication practice at home if your school is using a one minute timed multiplication worksheet... 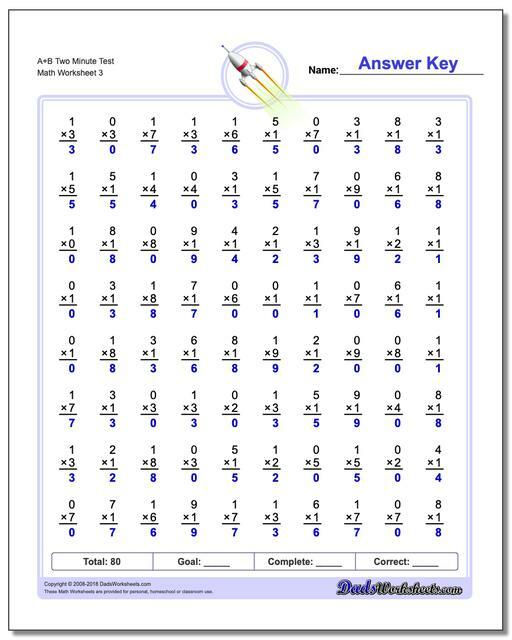 They make a one minute timed test seem easy! 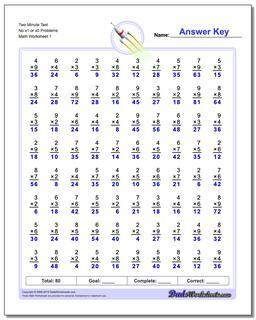 These worksheets are slightly longer versions of the one minute multiplication drills in the previous section. 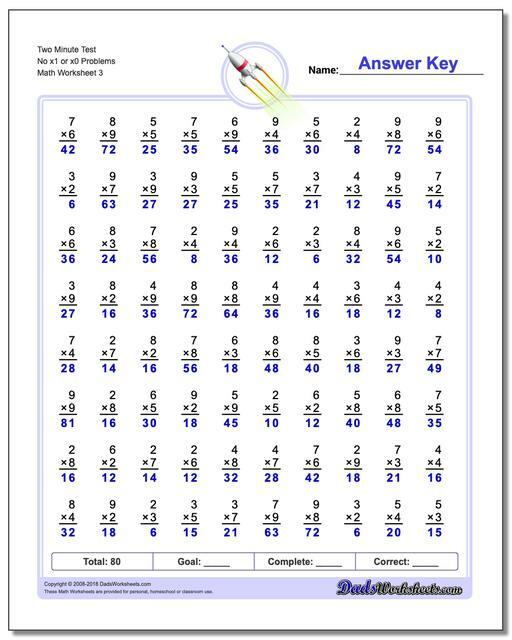 Each of these 80 or 100 problem worksheets are designed to be completed in roughly two minutes, and they can provide a challenge at home that makes the one minute multiplication worksheets at school feel like a breeze. 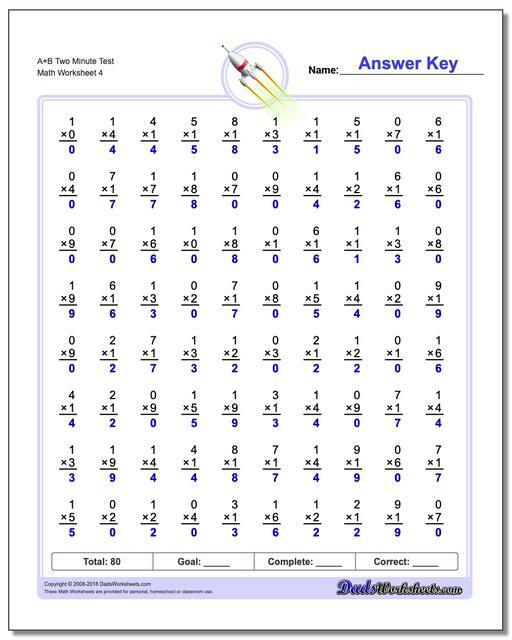 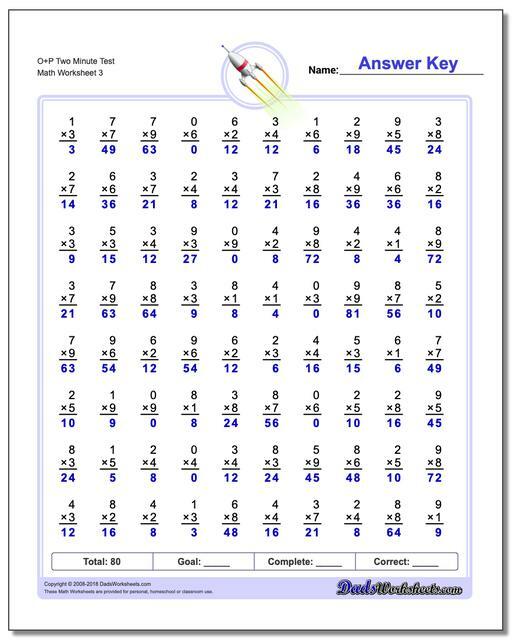 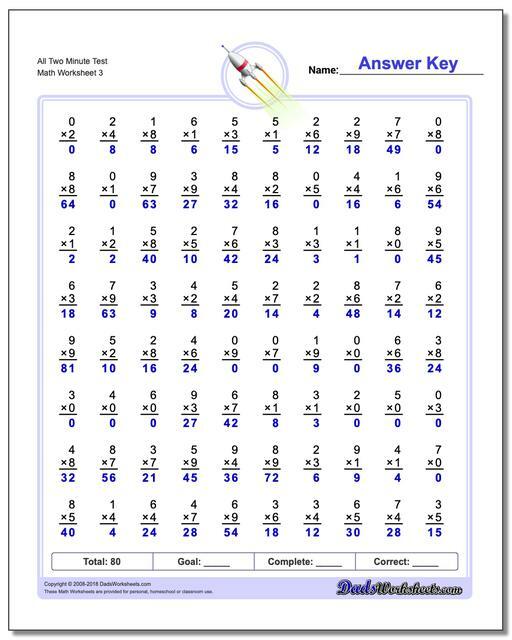 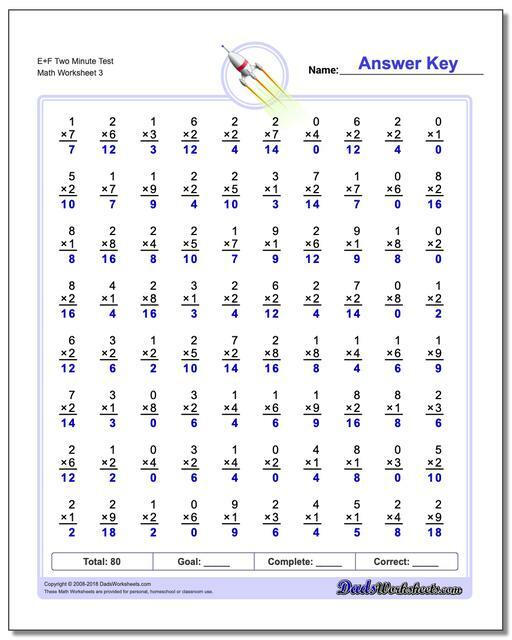 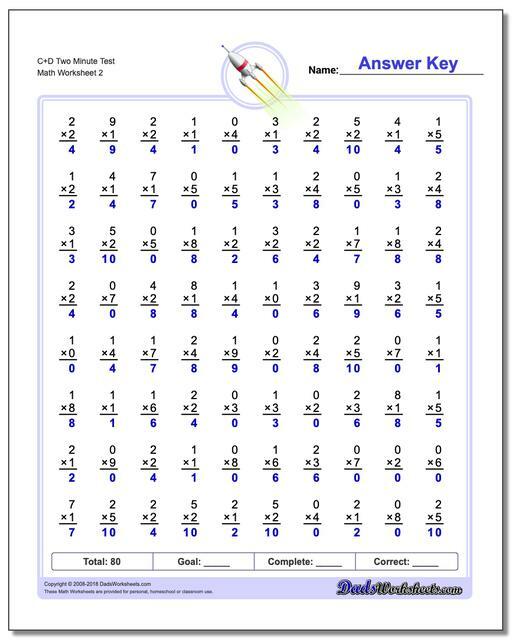 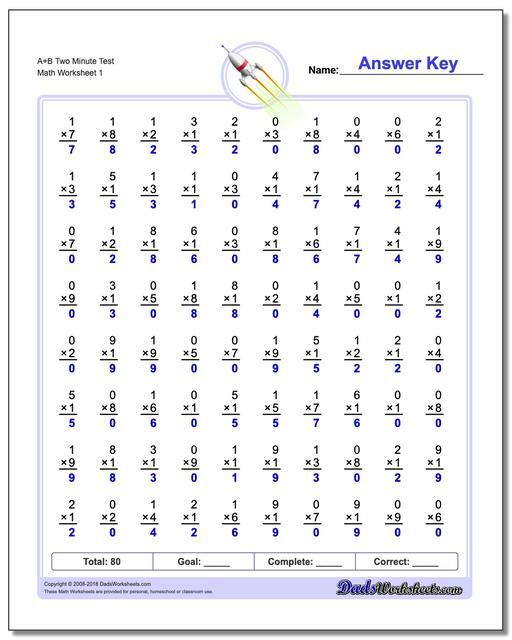 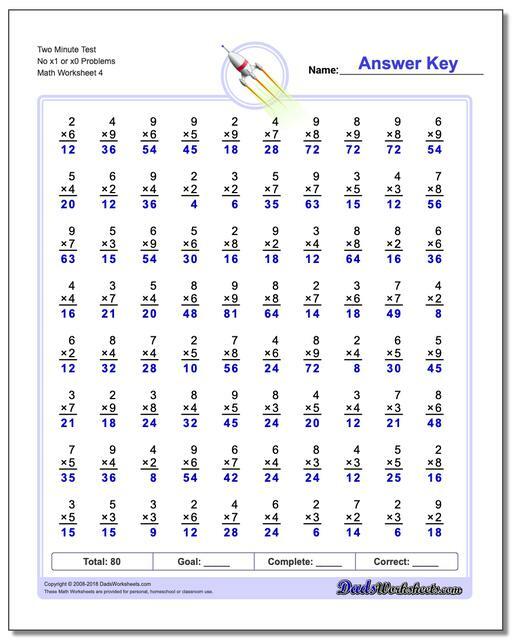 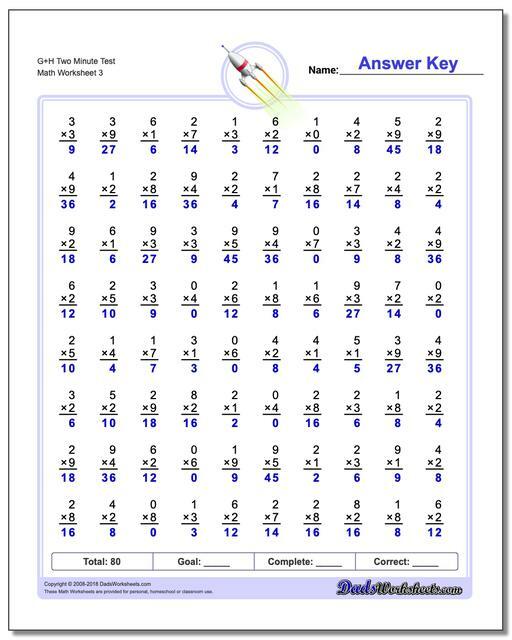 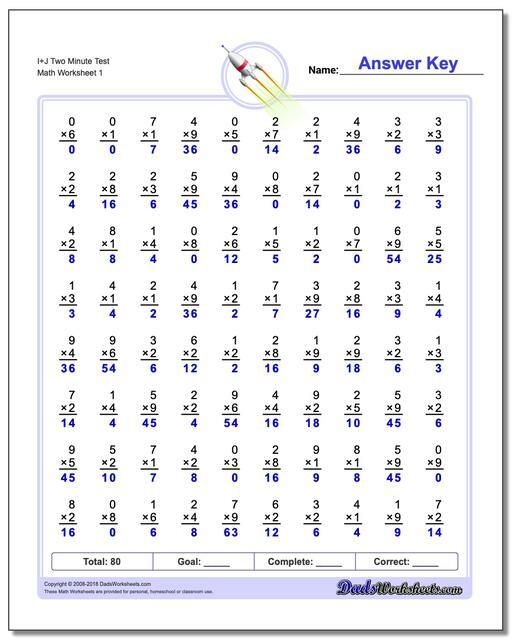 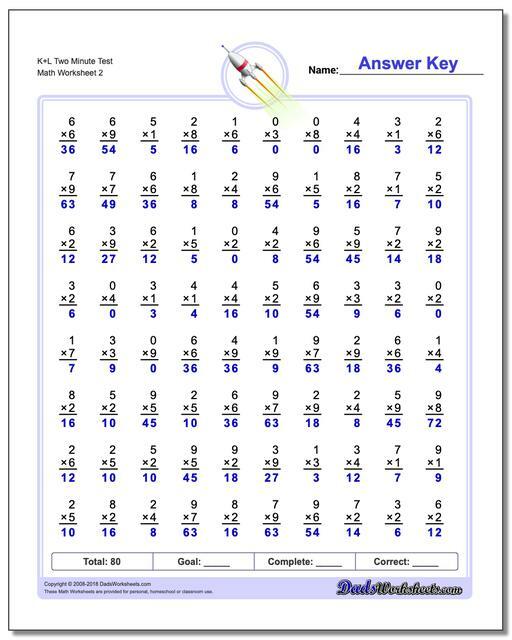 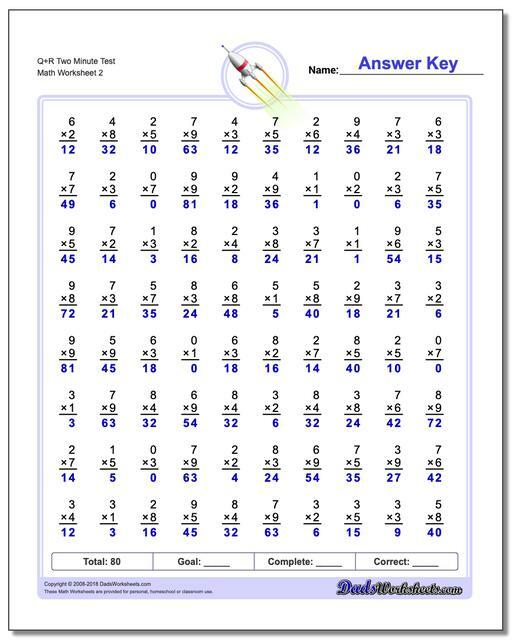 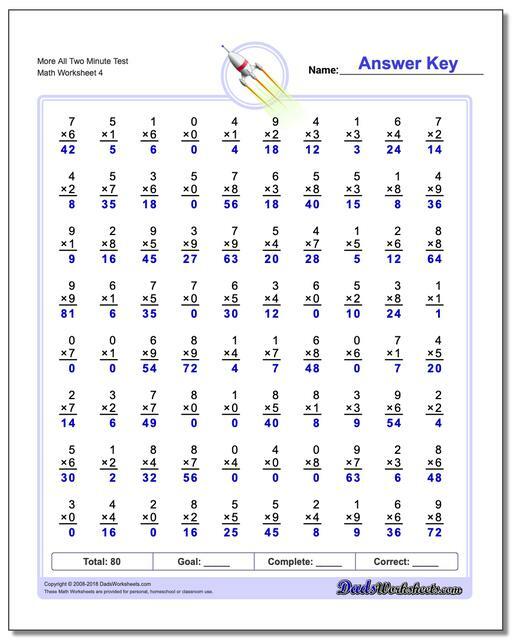 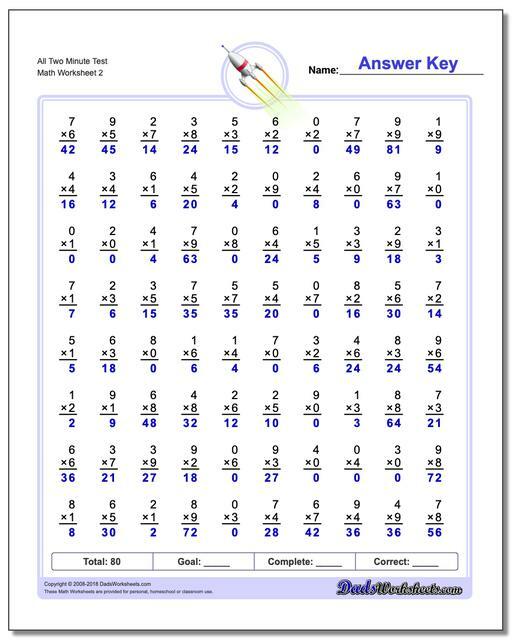 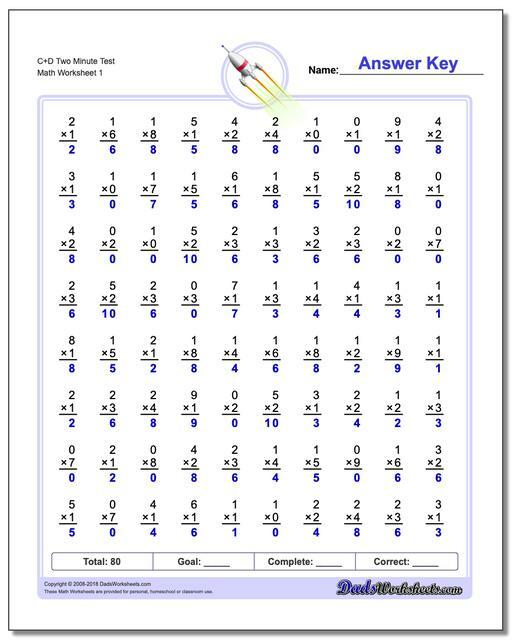 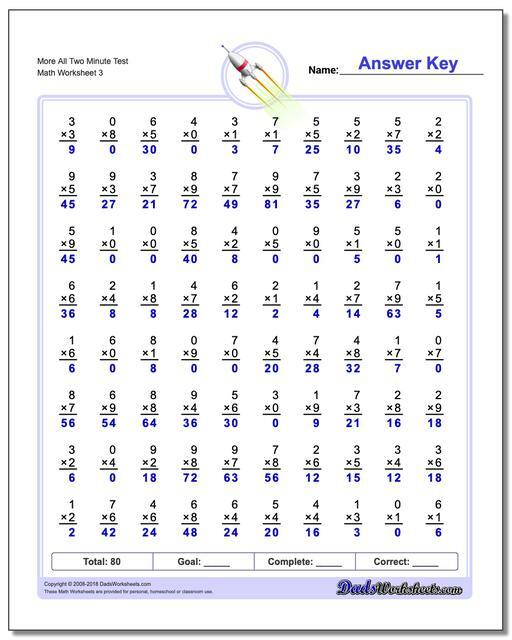 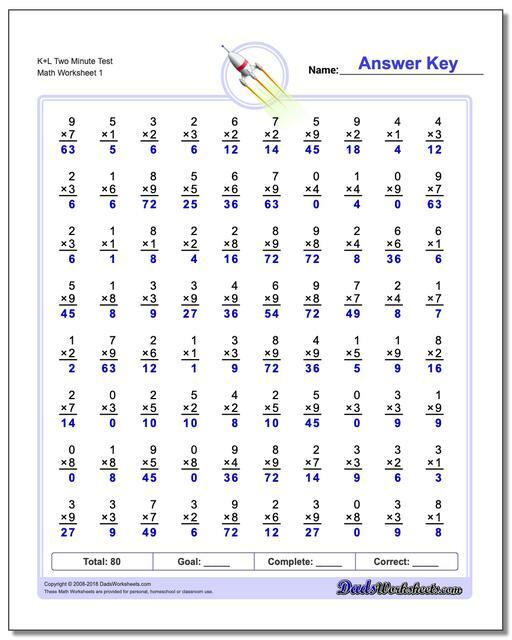 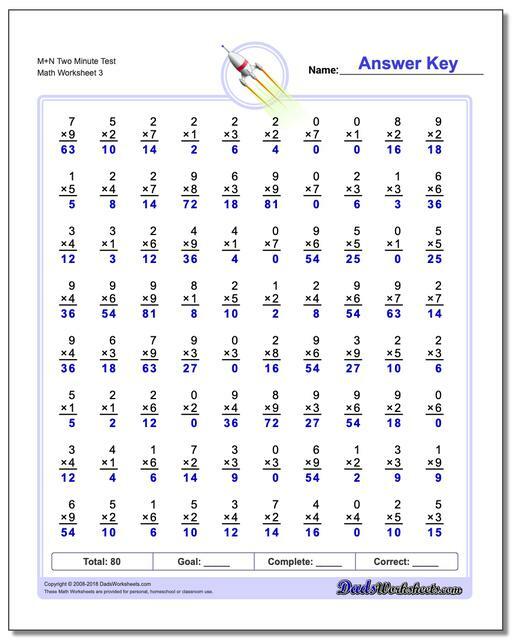 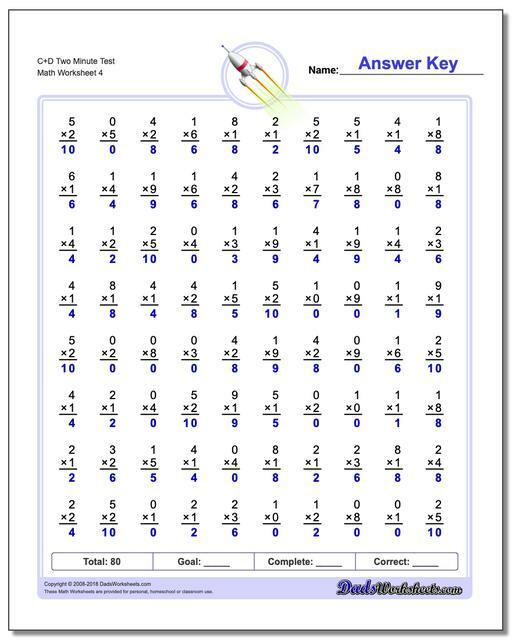 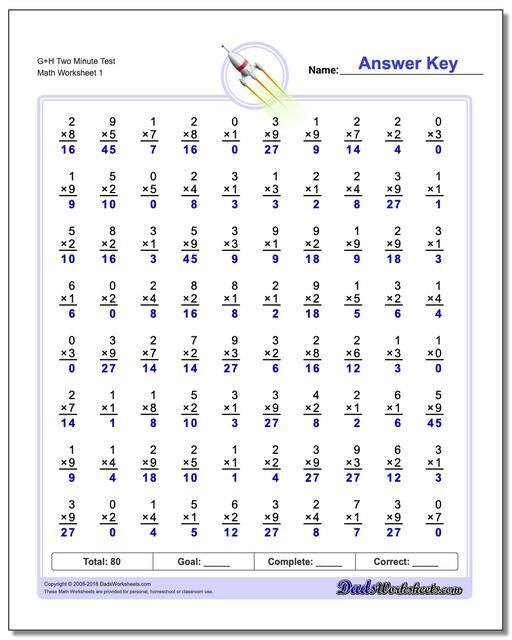 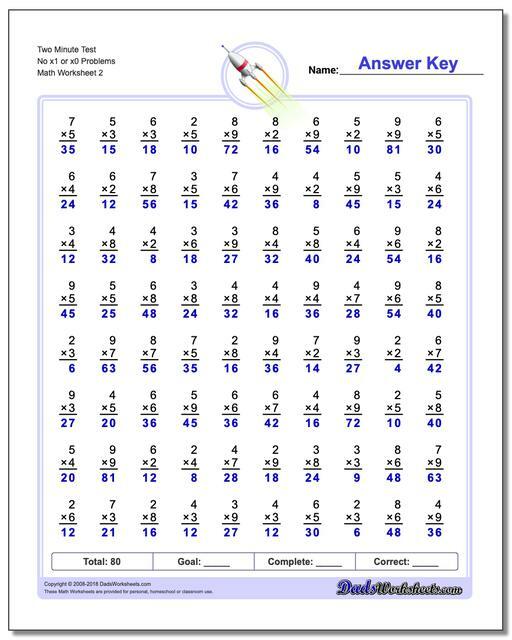 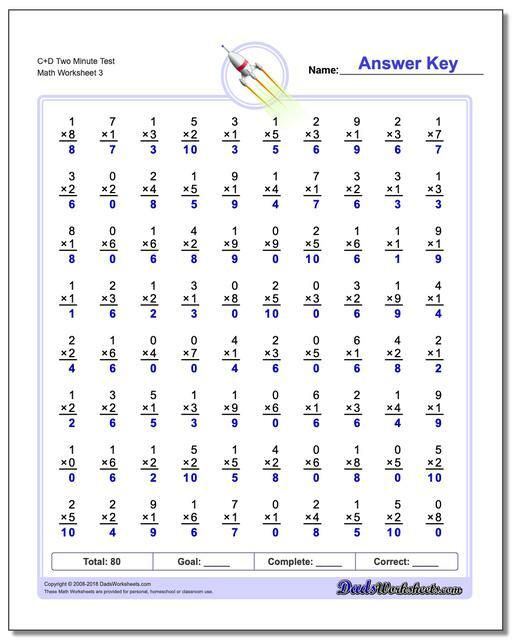 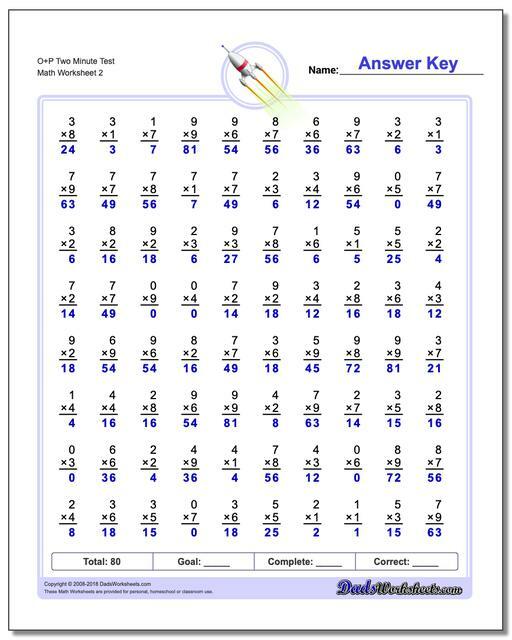 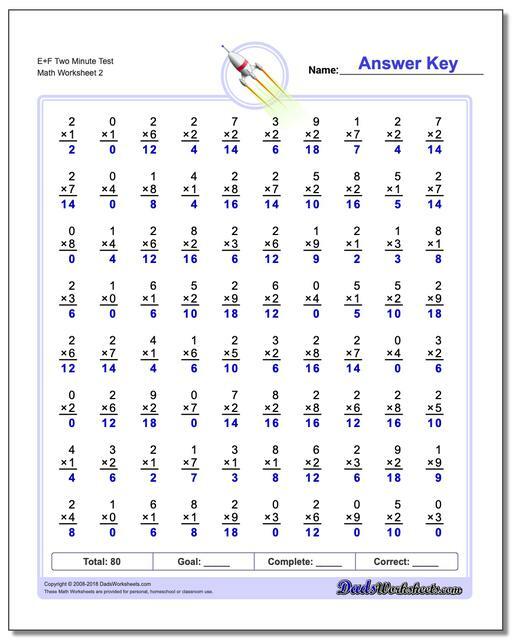 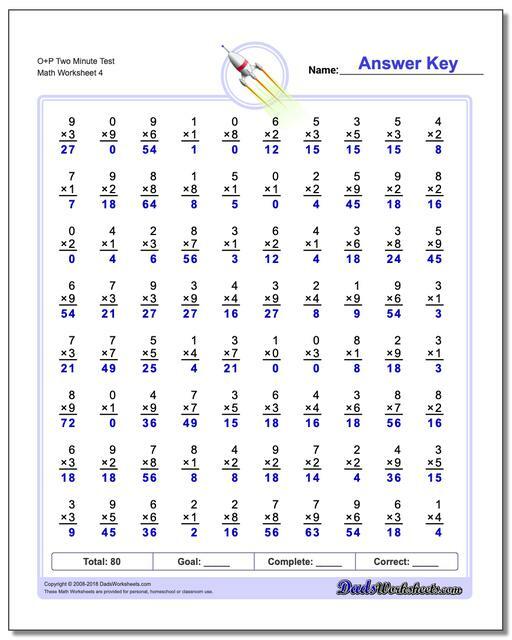 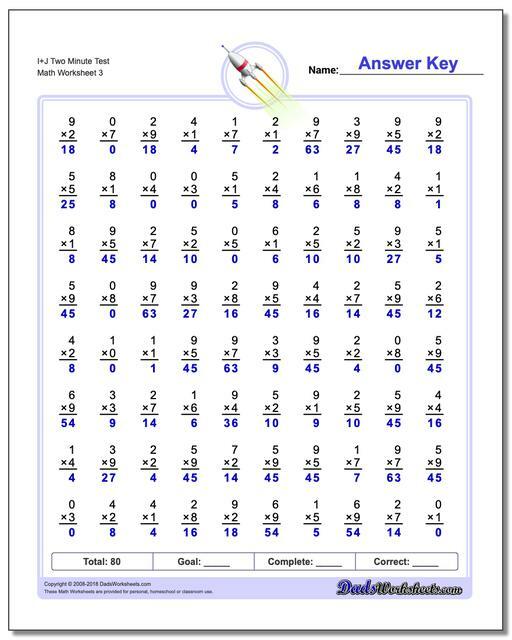 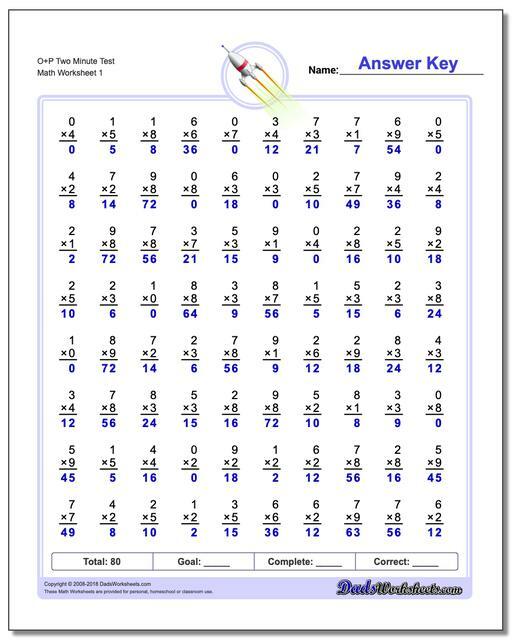 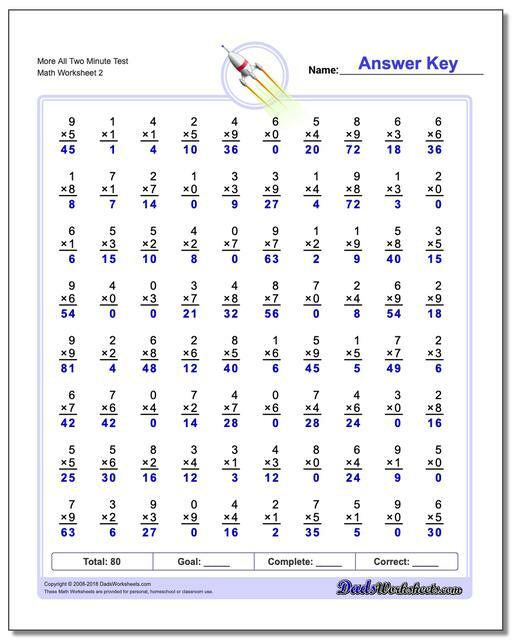 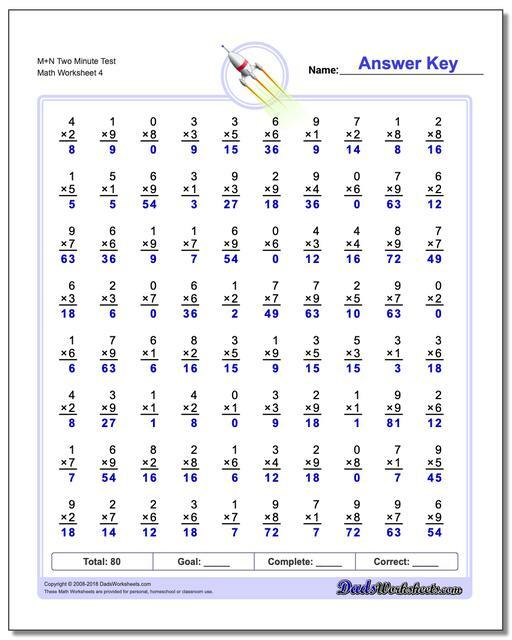 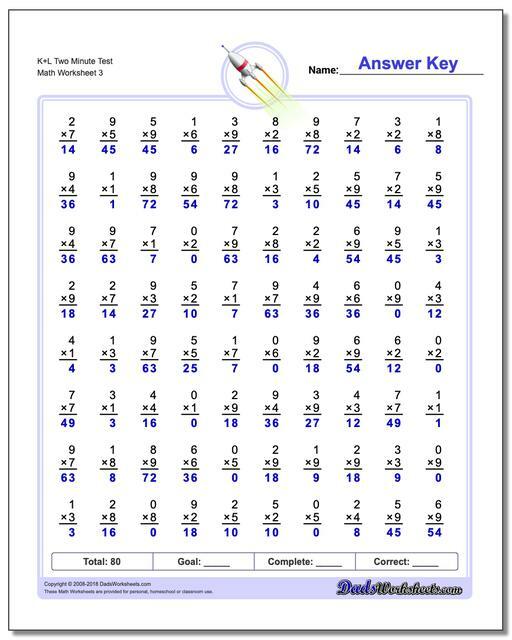 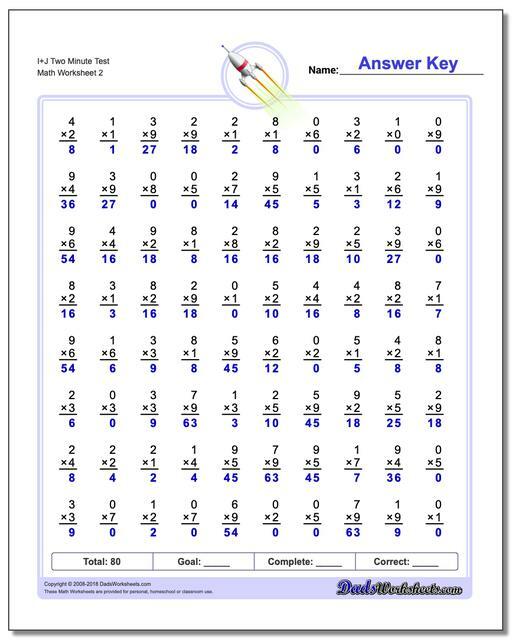 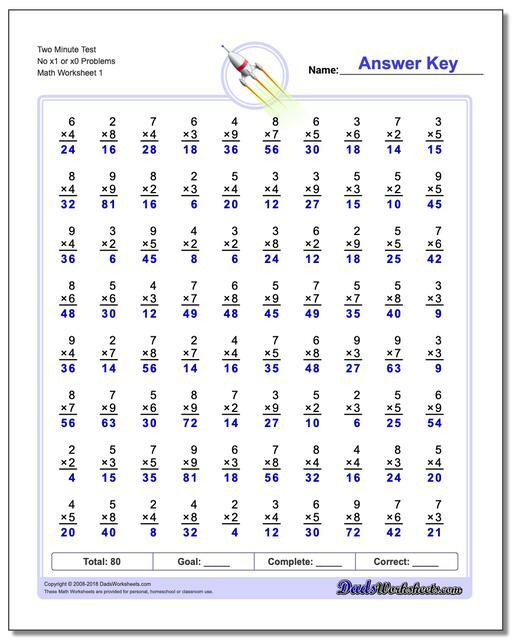 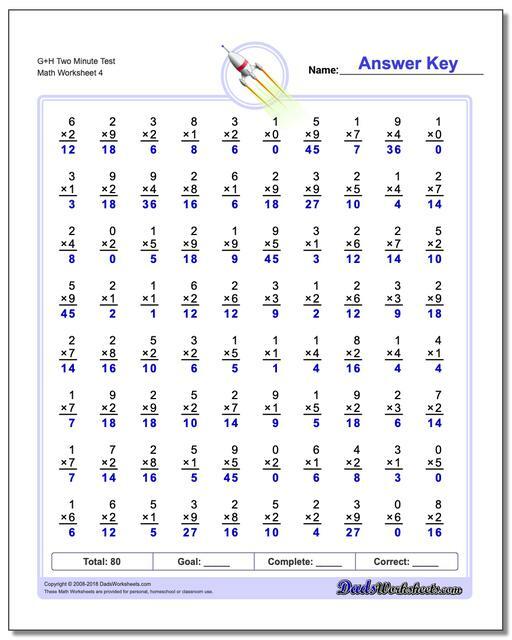 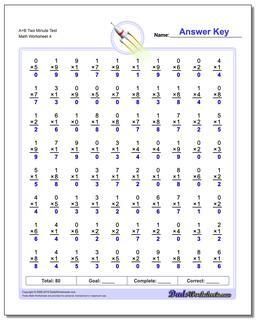 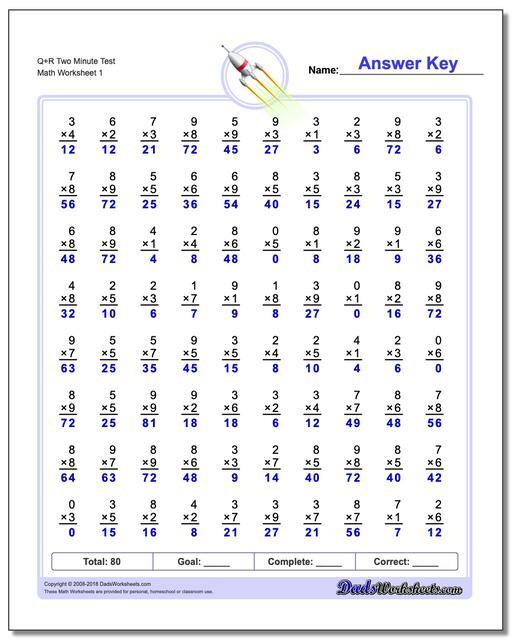 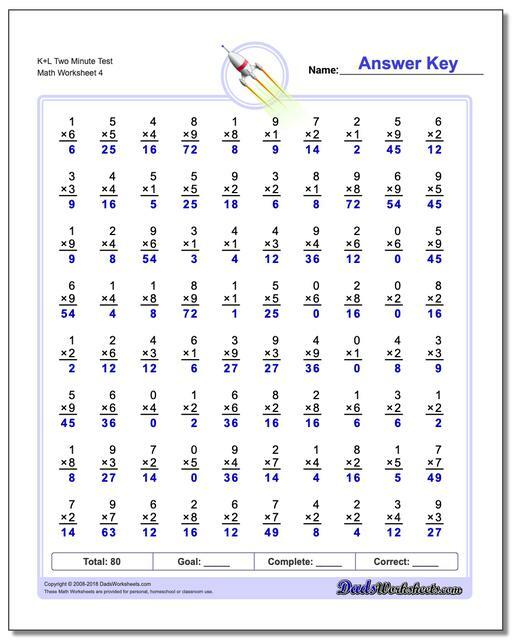 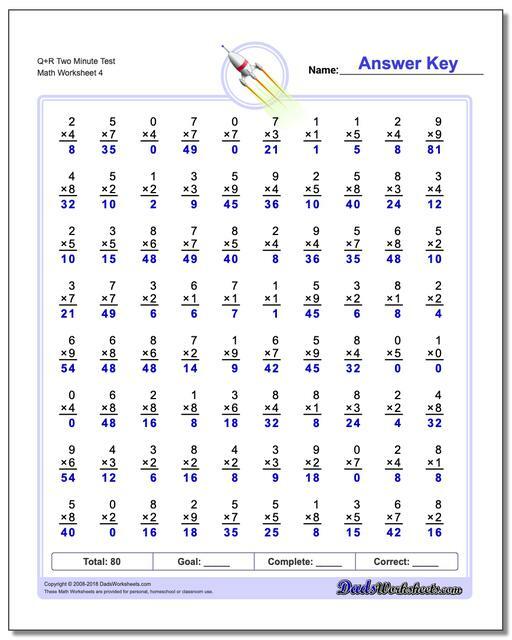 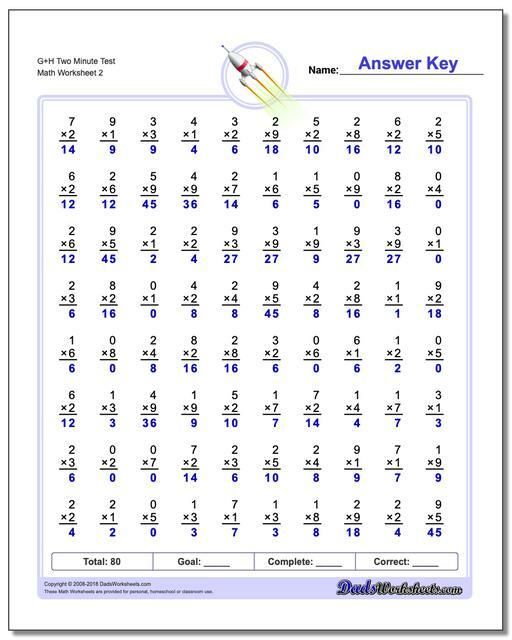 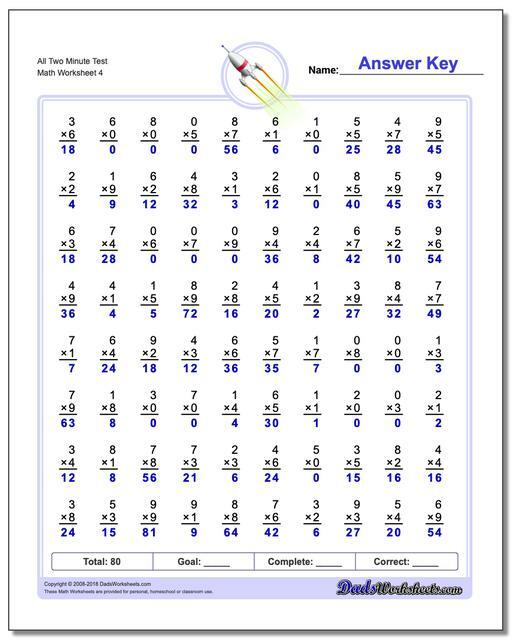 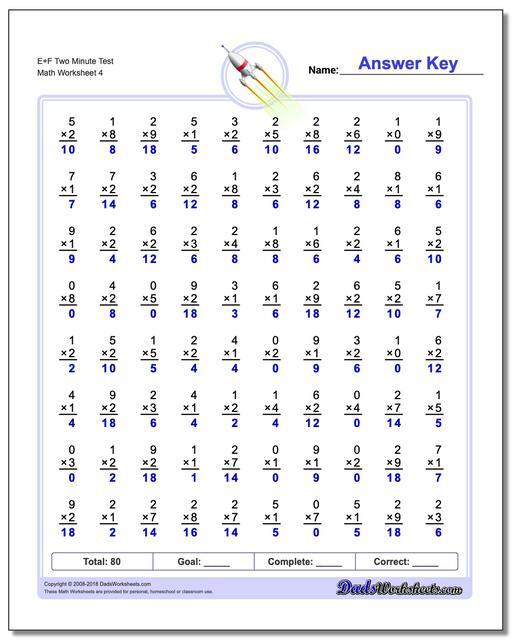 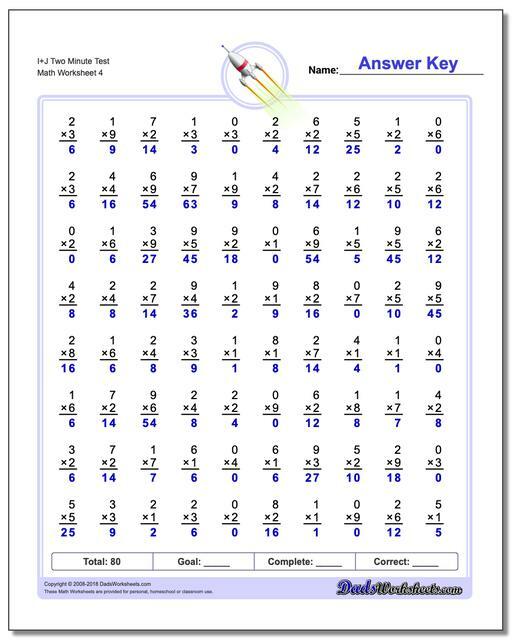 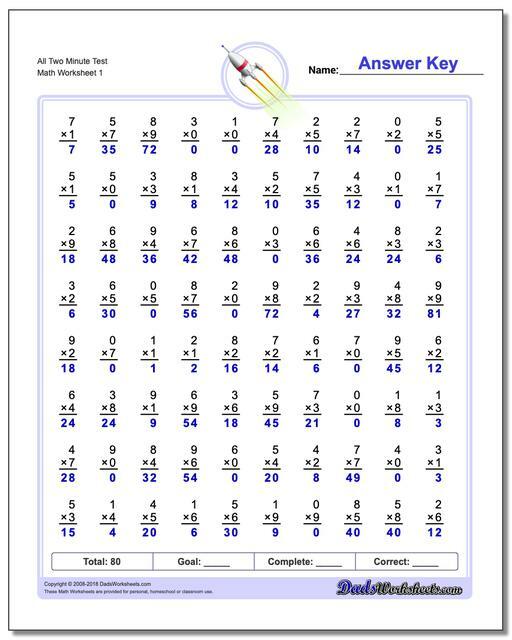 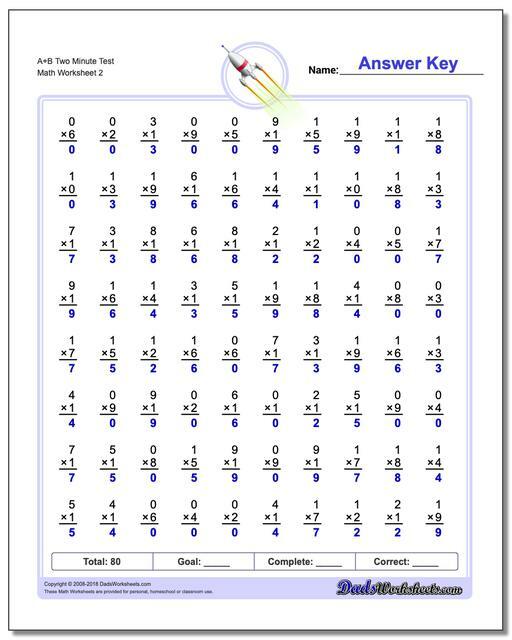 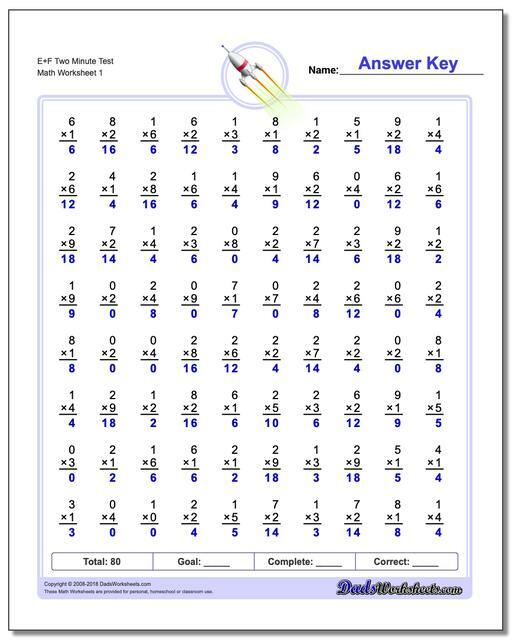 If you are looking for a solid math fact test, the set at the end that omits the times one and times zero problems are excellent for keeping multiplication facts razor sharp.